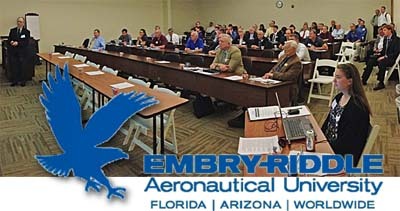 Meeting of the minds ... National Training Aircraft Symposium at Embry Riddle. Tecnam presented their P2008 and Twin to university flight school administrators from around the USA. Leading kit aircraft manufacturer and now SLSA producer, Van's Aircraft showed their RV-12 as a trainer schools can consider. Piedmont Airlines has an attractive offer for employees who want airline flying jobs. Piedmont's parent is US Airways, which merged with American Airlines. Yesterday, filling my role as President of the Light Aircraft Manufacturers Association, I joined Tecnam and Van's Aircraft as a group of about 100 collegiate educators met in their annual NTAS or National Training Aircraft Symposium. This annual gathering assembled an impressive group of academics who manage flight training for their university students. It was a day of presentations with a special focus on the ADS-B Out mandate from FAA. For university flight programs operating dozens to hundreds of airplanes each, equipping their certified airplanes represents a major cost. Additionally, maintenance shops qualified to handle this cannot handle a large number of installations if owners wait until the deadline is near. It is estimated that an average of 34 hours of labor is needed per airplane. AEA estimates 105-166,000 U.S. aircraft still need to be equipped in the next five years. It can be done, they said, but not if many owners wait to the last minute to start. Besides the central ADS-B issue, main NTAS organizer Peter Morton had as one goal the task of opening the eyes and minds of flight program leaders to the idea of Light-Sport Aircraft. We of the LSA community are grateful for his focus. So, how did that go? At the end of the first day, following presentations from Cessna, Piper, Diamond, Cirrus, and Sporty's (which has a refurbished 172 project), Tecnam and Van's also got a chance to speak to their capabilities and offerings. During a free-exchange session at the end, it did not look promising for LSA use. These big flight school operations have serious matters to consider before they try Light-Sport: cost and the investment cycles of larger organization (they don't simply buy new aircraft on a whim); fitting a new aircraft into a fleet usually composed of many of the same airplanes; simulator integration (important as about a third of training is now done using sims); plus the attitude of students' parents and what they think of Johnny or Susie learning to fly in a brand of airplane the parents don't know. These are real concerns, so how might LSA providers enter the club? Interesting to me, the answer came when Morton pushed a bit harder. After frank and honest discussions, the result was that if LSA manufacturers could provide an airplane and assistance for a period of time, several flight schools attending NTAS would give them a try. I considered this a breakthrough that made the couple-day event worthwhile. I recognize that such an undertaking is no small matter for a LSA builder. Having to supply an airplane, to move it around, and having a well-qualified person employed to present the airplane with that individual's travel expense can be a rather large investment. However, the payoff is that a successful effort could result in multiple orders and a new potentially long-lasting customer. Only a few of the larger LSA companies can tackle this but they and the university flight school operations could benefit. Main meeting organizer Peter Morton wrote before the event started, "...[hearing about LSA] may be a useful wake up call for the educators, some of whom may have a prejudice that the way they have done things before is the way of the future. However, what is different now from the past is the capability and experience of the LSAs [and] the fact that new rules require between 700 and 1,200 hours of 'practice flying' for the portion of flight students who are not able to get a job being paid for instructing or other flying. Therefore, the contribution to reduced student costs for the education from LSAs in the early part of the curriculum and the [expense of] 'practice flying' is much more significant than it was before the new rules." The presentation I gave and those from Tecnam's Shannon Yeager and Van's Aircraft's Wally Anderson spoke pointedly to the lower acquisition and operation cost of LSA plus the ability of manufacturers to be more nimble in making changes to their airplanes to better suit the collegiate flight training environment. Only time will tell if the effort will have a payoff, but it was great of Morton, NTAS, and Embry Riddle to let the LSA companies have a shot at the business. I also wish to credit the incumbent GA suppliers for maintaining a professional attitude about new competitors. Overall, the experience was worthwhile and educational. Thinking about students needing to build time to capture airline or other pro pilot jobs, Piedmont Airlines recently made an offer to employees that sounds inviting. The Salisbury, Maryland company will pay qualified employees to build pilot flight hours. Employees who are pilots can seek to build time for flight crew positions and Piedmont will reimburse accepted participants up to $130 per flight hour for up to 300 hours. That's a $39,000 commitment to each such Piedmont employee and shows the interest airlines have in developing the next batch of First Officers. For the offer, an employee would need to commit to fly as a Piedmont pilot one year for every 100 hours of reimbursed flight time. Piedmont has a number of Embraer regional jets on order. 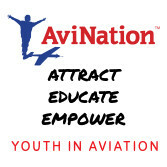 The company partners with American Airlines and noted, "An employee who begins flight training at Piedmont today could be flying for American Airlines in five to seven years. There's no faster pathway." Reflecting on the NTAS group and the thousands of university students they train, the future seems bright for tomorrow's airline pilots. Yesterday, filling my role as President of the Light Aircraft Manufacturers Association, I joined Tecnam and Van’s Aircraft as a group of about 100 collegiate educators met in their annual NTAS or National Training Aircraft Symposium. This annual gathering assembled an impressive group of academics who manage flight training for their university students. It was a day of presentations with a special focus on the ADS-B Out mandate from FAA. For university flight programs operating dozens to hundreds of airplanes each, equipping their certified airplanes represents a major cost. Additionally, maintenance shops qualified to handle this cannot handle a large number of installations if owners wait until the deadline is near. It is estimated that an average of 34 hours of labor is needed per airplane. AEA estimates 105-166,000 U.S. aircraft still need to be equipped in the next five years. It can be done, they said, but not if many owners wait to the last minute to start. P2008's interior. Buyers can select from a broad range of avionics. Learn more about P2008 in this video. Tecnam U.S. Inc., is quartered in the former Lockwood AirCam building at the Sebring airport. Italian company Tecnam has been a leading producer of Light-Sport Aircraft since the beginning of this newest aviation sector. Early distribution arrangements proved less than optimal so, like any progressive company, Tecnam retooled ... and retooled again. In 2014 it appears they finally dialed in the correct lock combination. While keeping their friends at former distributor Heart of Virginia Aviation, they installed a factory presence at the top of the pyramid. 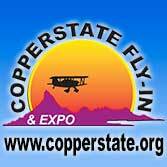 A new factory-operated facility at the Sebring airport was announced at Sun 'n Fun 2014. At the same time Shannon Yeager was hired to run the Florida center. As the year comes to a close, I called Shannon and asked for a summary of how things are going for Tecnam U.S. Inc. In particular I wanted to know how their 10% down program was working. When I first reported this, I found it a compelling answer to the concerns many American buyers have regarding the common need to send many tens of thousands of dollars overseas for an extended period of time. Tecnam proposed to significantly change that, asking buyers only to put down 10% of the purchase price with no balance due until the airplane was in the USA with N-numbers and FAA airworthiness certificate, test flown, and completely ready for delivery. I though it a game changer but how's that working? Short answer: Based on a ten month track record, Tecnam forecasts U.S. deliveries of 34 airplanes in 2014. Shannon reported sales were split evenly between the P2008 LSA and the Part 23 approved Twin. By any measure in the post-2008 recession period, that is a reasonable performance and one likely to accelerate next year. Shannon noted that while interest is very keen, none of the new Astore LSA models were among those counted for their Sebring operation sales. The company debuted their sleek new low wing LSA at Sun 'n Fun, however, it went through a few final design changes so American deliveries of Astore are "just now beginning," said Yeager. 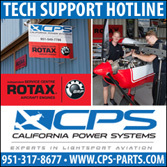 Aircraft like Tecnam's Twin aren't the focus of this website and cost half a million dollars, but the model sports two Rotax 912 engines very familiar to all of us and it has secured a place in the market. At roughly (and amazingly!) 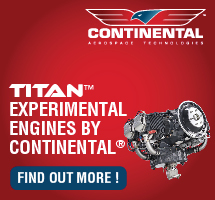 half the price of a loaded Cirrus SR22 turbo, Tecnam's Twin represents quite a value. Shannon noted that Cessna 182 owners trading up to Twin get the same or better fuel economy with twin engine safety plus a bit more speed; cruise is about 150 knots in the light twin. About half the GA models are involved in leasebacks. 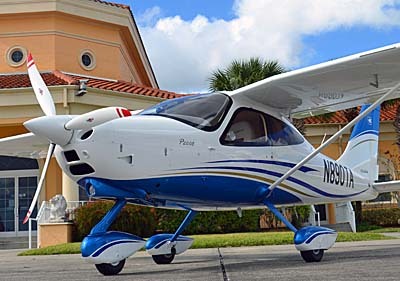 Tecnam's strongest LSA seller is the handsome part-composite, part-metal P2008 but I was surprised to hear that 80% of those Light-Sport models are being delivered with the Rotax 914 turbocharged engine. 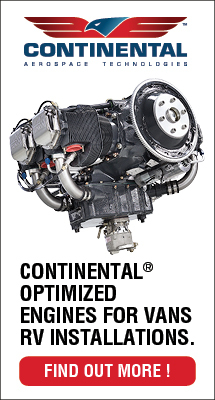 This noticeably bids up the price over the carbureted 912 ULS but it delivers higher power that remains steady even as density altitude increases. "For those flying in more demanding environments (locations with high heat, humidity, or elevation), the 914 provides steady boost," according to Shannon. "We state ground roll at 300-400 feet and climb at 1,200 fpm." He observed they remain very pleased with the performance for the 912 ULS and for buyers holding to a budget that engine remains the most economical choice. 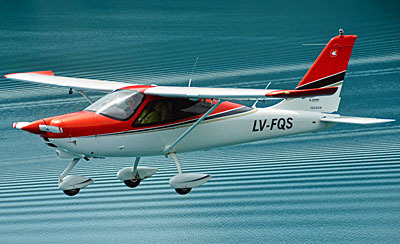 (Those on the leanest budgets should be pleased to hear that Tecnam offers a very modestly priced Echo Classic Light LSA for around $80,000.) "Add about $10,000 for the fuel injected, fuel miserly 912 iS Sport," said Shannon, "or another $15,000 for the 914 turbo." 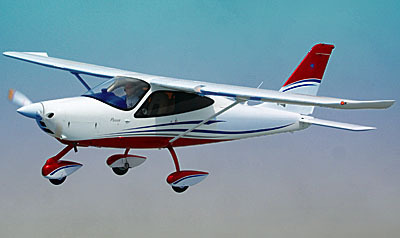 In addition to performance numbers, Tecnam models have earned a widely accepted reputation for good handling. As we spoke, I directed Shannon back to what he calls the "10/90 plan," the payment method I thought could be a game changer. People like it and indeed, why not? 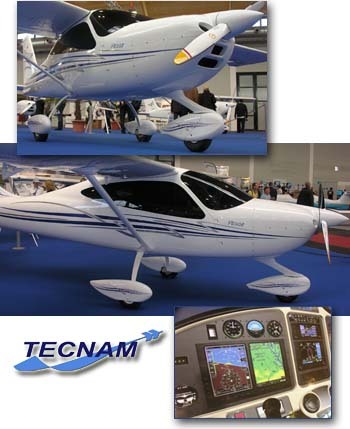 You select a Tecnam model; they have a large range from which to choose. Let's say it retails for $150,000 so you plunk down $15,000 and wait. They guarantee you won't wait more than 180 days or you can get your deposit back. "We have skin in the game," explains Shannon. "We have to spend much more than the 10% to build a plane, put an engine on and install avionics, plus ship it to Sebring. 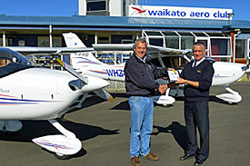 Therefore, we are committed to delivering your airplane." The engine alone costs Tecnam more than the deposit you pay, so Shannon is right; buyers have less at risk than Tecnam. The company has to deliver the airplane to make a profit but buyers need send only a smaller fixed amount to Italy while their airplane is built. You probably won't wait the guaranteed maximum of six months. "The norm has been four and a half months," said Shannon. 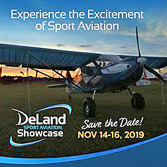 So, by my reckoning, this company is playing their best game yet in the U.S. market and 2015 may be a breakout year for Tecnam U.S. Come to their home field for the Sebring Expo and check out the company and their facilities for yourself. 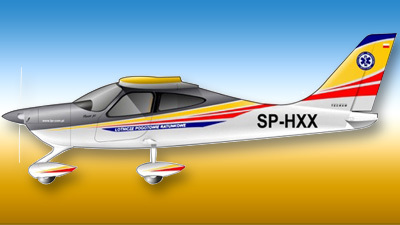 Italian company Tecnam has been a leading producer of Light-Sport Aircraft since the beginning of this newest aviation sector. Early distribution arrangements proved less than optimal so, like any progressive company, Tecnam retooled … and retooled again. In 2014 it appears they finally dialed in the correct lock combination. While keeping their friends at former distributor Heart of Virginia Aviation, they installed a factory presence at the top of the pyramid. A new factory-operated facility at the Sebring airport was announced at Sun ‘n Fun 2014. At the same time Shannon Yeager was hired to run the Florida center. As the year comes to a close, I called Shannon and asked for a summary of how things are going for Tecnam U.S. Inc. In particular I wanted to know how their 10% down program was working. When I first reported this, I found it a compelling answer to the concerns many American buyers have regarding the common need to send many tens of thousands of dollars overseas for an extended period of time. You probably don't know his face, but you may recognize the voice of my favorite videographer. Tecnam's handsome P2008, now with both Rotax 912 iS engine and FlyCool's air conditioning. Famed aerobatic performer Patty Wagstaff is considering flying a routine in a Light-Sport Aircraft, she confirmed in an interview. One she'll consider is this FK12 Comet with the inverted-capable Lycoming O-233 engine. Tenn-Air's CH-750 Jabiru-powered kit is similar to many LSA that work well in a flight school. We spoke with several sellers who report higher time LSA doing just that. Paul Mather's M-Squared uses this Breese 2 in regular training. He provided a detailed accounting to show how he's making money with it. Apres-Sebring Bahamas Fly-out ... Fun! Preparing for Sebring, four days of the show, and a LSA flight over the ocean can fill your days to the brim ... and all of that is truly excellent. January used to be a month of flying doldrums but since Sebring started nine years ago, the month has turned into one of the most active for light plane enthusiasts. ByDanJohnson.com reflects this with increased and growing traffic. January 2013 looks to set a new all-time record and that comes on the heels of a record 2012. Thanks for your loyal visits; we're happy to be providing the news and videos you want. Speaking of coverage, thanks a billion to James Lawrence, who provided daily updates along with his superb photos from Sebring while I was running around with other duties. The good news is we've already posted four videos and several more will follow, thanks to the excellent work by my partner-in-video, creator of the popular Ultralight News YouTube channel. In this article, I'm going to tempt you by quickly highlighting some of what was noteworthy at Sebring 2013. I'll also give a brief review of the third-annual LSA fly-out to the Bahamas. 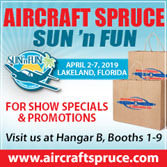 We saw several aircraft not before viewed at Sebring: Golden Avio's F30 (video posted); the modestly priced Groppo Trail (video); an amphibian gyrocopter (video coming); the Sam LS (video here), and a Tecnam P2008 with the new Rotax 912 iS engine and FlyCool air conditioning installed. World showed their new $85,000 Vision LT. And I was given a special briefing on an airplane that I'm not yet at liberty to discuss but which shows that although the number of new SLSA may have slowed, the intensity of innovation is far from over. Tecnam lead the show in the number of aircraft they had on display and that doesn't even include their popular Twin Rotax model nor their four seater and other larger aircraft. Their P2008 now featuring the latest technologies is one of the prettiest LSA in the fleet (though that's a personal feeling, of course). Also from Italy is the Golden Avio F30, the final design from Italian aviation legend Stelio Frati who achieved worldwide fame for his Falco F8L. Tecnam and World have announced low priced LSA to join the ever-popular Aerotrek in the sub-$90,000 (or sub-$80,000) range, proving that Light-Sport Aircraft are not all more expensive as some pilots still insist. Yes, several deluxe models go for more than $150,000 but these beauties are loaded with fancy features like autopilots, full glass screens, airframe parachutes, and more. Another lower priced entry we'll be watching is the Groppo Trail forecast at $85-90,000. In another realm is the soon-to-be aerobatic FK12 Comet with the inverted-capable Lycoming engine. While too-many underinformed pilots still feel LSA are "too expensive," others are continuing to claim that "LSA can't hold up in a flight school environment," that they're built too lightly for the rigors of instruction. UltralightNews and I did a series of video vignettes as we spoke with several aircraft manufacturers who gave us information about higher time LSA that are doing just fine training new students to fly. We'll post that video when the editing work is complete. One of the companies we talked to was M-Squared Aircraft. Proprietor Paul Mather took the time right at the show to detail his own experience with a trainer that shows the facts in numbers that we heard from all these purveyors: given the purchase price and what a trainer can earn, less its operation and maintenance expenses can yield a Light-Sport Aircraft that holds its value quite well and can produce earnings for its operator. That students love flying in new flying machines as opposed to tired, worn-out, 40-year-old GA aircraft is no surprise. Not only do students get to fly in new aircraft that look and smell new, they also get the benefit of modern equipment similar to what might be in aircraft they buy once their training is complete. Lots of the LSA trainers we examined for our video have glass cockpits that help a student pilot learn the technology while he or she practices landings, stalls, turns, cross country flights, and most of the same maneuvers any Private Pilot candidate learns while flying in a Cessna 172, one of the more common trainers in use today. That the LSA makes less noise and uses less than half the fuel — and probably lower-priced, cleaner-burning MoGas — is icing on the cake. We used to announced two or three new SLSA models each month for what seemed years. That's how we've arrived at 130 models so far. 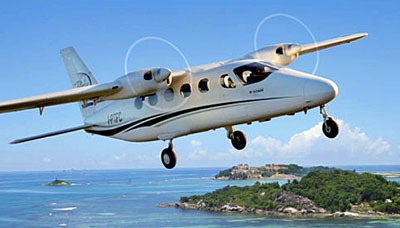 Now, another such wave of innovation and creativity seems to be showing itself in seaplanes. I've written before about the wave of new waterborne aircraft and I remain impressed at their diversity and sheer numbers. Besides the first amphibious gyroplane I've ever seen, familiar names like the Aventura soldier on, now with new ownership in the person of Alex Rolinski. We'll post a video about him before long. The Sebring show ended with a mass departure of a flock of aircraft that flew off to the Bahamas with yours truly among the group. Jim Lawrence has written about this and illustrated his words with his great photos (articles appear below). After we all returned, he and fellow aviation writer Dave Unwin zoomed around Florida capturing more experiences and photos for future writing in magazines. Dave is part of our editorial group at ByDanJohnson.com and we'll have more from him in the future. So, that's a very fast — and surely incomplete (regrets to any I missed) — tour of just some of what I saw at Sebring. I'll be writing more details in the days ahead (and I'll catch any I missed). Click back soon! Thanks again for your frequent visits. Preparing for Sebring, four days of the show, and a LSA flight over the ocean can fill your days to the brim … and all of that is truly excellent. January used to be a month of flying doldrums but since Sebring started nine years ago, the month has turned into one of the most active for light plane enthusiasts. ByDanJohnson.com reflects this with increased and growing traffic. January 2013 looks to set a new all-time record and that comes on the heels of a record 2012. Thanks for your loyal visits; we’re happy to be providing the news and videos you want. Speaking of coverage, thanks a billion to James Lawrence, who provided daily updates along with his superb photos from Sebring while I was running around with other duties. The good news is we’ve already posted four videos and several more will follow, thanks to the excellent work by my partner-in-video, creator of the popular Ultralight News YouTube channel. 61-year-old Italian aircraft manufacturer Tecnam has a whole fleet of LSA and general category aircraft at the show, serving notice they're here to stay. *** At a reception tonight, U.S. Distributor Heart of Virginia and the Tecnam executive team, lead by CEO Phil Solomon, made a bold prediction: they intend the company to be the top-selling LSA maker by 2014. *** Everybody was drooling over the P2008 LSA so I asked Phil to educate me on the gorgeous high winger. *** "It blends a metal wing and Tecnam's traditional expertise in building metal aircraft with a composite fuselage. The idea was to make the best possible plane they could along with the strength and lightness of carbon fiber. It's also clear that people are getting larger around the world, so there's definitely a premium on a wider aircraft. People wanted more luggage space too, and more luxury." *** "That's really what Tecnam is trying to address with the P2008: a top-of-the-range, ultimate LSA. The principal market we're addressing is those who've maybe stepped down from a Bonanza or similar, and are simply looking for the best, and willing to pay for it." *** Price point with the "preferred package" is "just under $170,000". 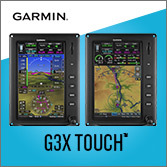 That includes all the equipment you'll ever need: Advanced flight Systems twin glass panel, autopilot with altitude hold, XM weather, backup GPS, and more. The idea being there isn't a lot else an owner is going to want." *** Call it the Mercedes of LSA. Congratulations are in order: for a stunning airplane, and for its first sale, made here at the show. First deliveries are expected in April or May." 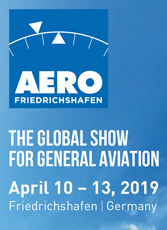 61-year-old Italian aircraft manufacturer Tecnam has a whole fleet of LSA and general category aircraft at the show, serving notice they’re here to stay. *** At a reception tonight, U.S. Distributor Heart of Virginia and the Tecnam executive team, lead by CEO Phil Solomon, made a bold prediction: they intend the company to be the top-selling LSA maker by 2014. *** Everybody was drooling over the P2008 LSA so I asked Phil to educate me on the gorgeous high winger. *** “It blends a metal wing and Tecnam’s traditional expertise in building metal aircraft with a composite fuselage. The idea was to make the best possible plane they could along with the strength and lightness of carbon fiber. It’s also clear that people are getting larger around the world, so there’s definitely a premium on a wider aircraft. People wanted more luggage space too, and more luxury.” *** “That’s really what Tecnam is trying to address with the P2008: a top-of-the-range, ultimate LSA. Composite Tecnam -- This is the first not-all-metal Tecnam aircraft we've seen in the LSA community. I fell in love with her smooth lines at Germany's Aero show in April 2009. Tecnam can lay claim to being the "largest LSA manufacturer" by virtue of producing more than 3,000 ready-to-fly aircraft (with approximately 120 of them flying in the USA as "official LSA" -- the U.S. is a relatively new market for the Italian company). In my travels to Europe and other countries, I've seen a lot of Tecnam models sold under the rules of those nations. And the company was formed back in 1948. *** But even with all those aircraft built and many interesting designs -- such as the Echo Super, Sierra, Bravo, Eaglet, and even a new twin that isn't a LSA -- for my money, the P2008 is easily the prettiest two seater the company has ever designed. It resulted from a marriage of Tecnam, an all-metal airplane company, to Spain's CAG or Composite Aeronautic Group. The latter, bought by Tecnam, was the short-time producer of the Toxo Sportster *, a handsome all-composite LSA. Tecnam won't be producing the Toxo but P2008 pairs Tecnam's prodigious design ability with CAG's expertise in composite manufacturing. 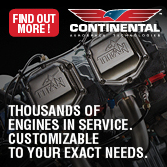 *** In America, Tecnam is represented by Tecnam North America, a talent-heavy group based in Richmond, Virginia. Among other interesting announcements (at least one of which I'm not at liberty to disclose) you'll get your first chance to see the P2008 at Sebring 2010 ...and maybe they'll even add a friendly name to the number of this gorgeous airplane. * Only a single Toxo ever entered the USA. 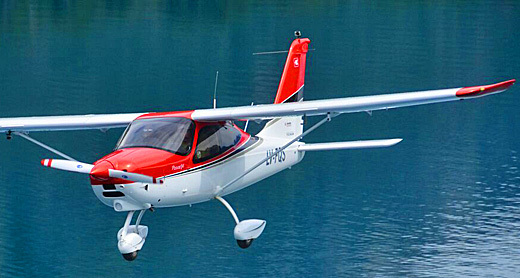 Tecnam can lay claim to being the “largest LSA manufacturer” by virtue of producing more than 3,000 ready-to-fly aircraft (with approximately 120 of them flying in the USA as “official LSA” — the U.S. is a relatively new market for the Italian company). In my travels to Europe and other countries, I’ve seen a lot of Tecnam models sold under the rules of those nations. And the company was formed back in 1948. *** But even with all those aircraft built and many interesting designs — such as the Echo Super, Sierra, Bravo, Eaglet, and even a new twin that isn’t a LSA — for my money, the P2008 is easily the prettiest two seater the company has ever designed. It resulted from a marriage of Tecnam, an all-metal airplane company, to Spain’s CAG or Composite Aeronautic Group. The latter, bought by Tecnam, was the short-time producer of the Toxo Sportster *, a handsome all-composite LSA. 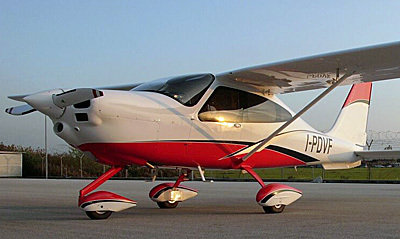 AERO 2009 NEWS -- What's not to love in this gorgeous and curvaceous Tecnam Light-Sport Aircraft? 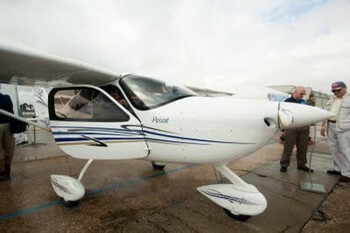 P2008 specs: cabin width 47 inches; wing area 124 square feet; span 28.9 feet; fuel 29 gallons; climb 1,150 fpm; stall 39 knots. Plus, look at that panel (optional equipment shown). Tecnam has long been known for building handsome, well-flying, all-metal Light-Sport Aircraft. The company has certified four models of SLSA (Echo Super, Sierra, Bravo, and Eaglet) tying them for the most. That will soon change and the 61-year-old Italian company formed in 1948 -- once the producer of the Partenavia twin-engine aircraft -- will soon climb to the top with five approved LSA models. *** The newest, unveiled at the German Aero show, is the P2008. The sleek and beautiful aircraft was conceived after the company bought Composite Aircraft Group, the designer and builder of the Toxo. When Tecnam took possession of this Spanish company, they acquired CAG's composite technology and the P2008 is the first full airframe to show the results of this purchase. *** P2008 has metal wings like all Tecnam LSA, but it now features a smoothly contoured fuselage. 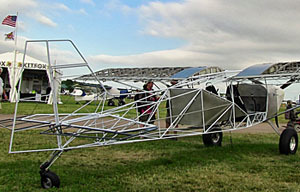 Tecnam Managing Director Paolo Pascale Langer noted that the composite construction allows aerodynamic lines that permit a wider cockpit than any previous model (see photo text). His company holds a the number three position in U.S. market rank and it seems to me this pretty new bird will help retain or increase that position. Paolo confirmed P2008 would be coming to America soon. Tecnam has long been known for building handsome, well-flying, all-metal Light-Sport Aircraft. The company has certified four models of SLSA (Echo Super, Sierra, Bravo, and Eaglet) tying them for the most. That will soon change and the 61-year-old Italian company formed in 1948 — once the producer of the Partenavia twin-engine aircraft — will soon climb to the top with five approved LSA models. 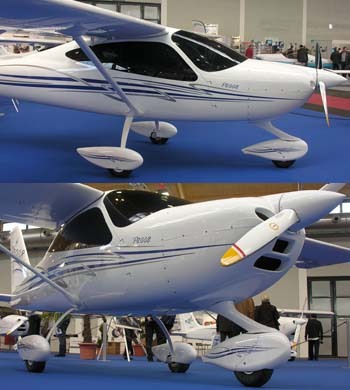 *** The newest, unveiled at the German Aero show, is the P2008. The sleek and beautiful aircraft was conceived after the company bought Composite Aircraft Group, the designer and builder of the Toxo. When Tecnam took possession of this Spanish company, they acquired CAG’s composite technology and the P2008 is the first full airframe to show the results of this purchase. *** P2008 has metal wings like all Tecnam LSA, but it now features a smoothly contoured fuselage.